All the Nine Forms or Roop of Durga Mata have a unique significance and there are some special and unique benefits that can be derived from worshiping each of the Nine Forms or Navdurga. In this post, I have briefly described the benefits that can be derived from the worship of each of these Nine Forms of the Divine Mother during Navratri. 1. Shailaputri- The first Form of Durga Mata is worshiped to eradicate all kind of fears, including hidden and unknown fears. Many time you do not know the exact cause of nature of your fears, but are still fearful of something or the other or there is a lingering sense of fear in your mind that is affecting your physical and mental health. In such cases the worship of Mata Shailaputri during Navratri is said to be extremely effective in removing this fear and calming down your mind and giving you peace of mind. Shailaputri Devi is also worshiped on this day for resolving all kinds of health problems or anything that is connected to the health of the mind and body. 2. Brahmacharini – The worship of Brahmacharini Mata on the second day of Navratri is considered to be especially beneficial for the gain of all kinds of knowledge and progress in any kind of research, including research related to spiritual or divine knowledge. 3. Chandraghanta – The worship of the Chandraghanta Form of Durga Mata is beneficial in resolving problems that are creating obstacles in your life and preventing progress. The worship of Chandraghanta Mata is also considered effective in resolving problems related harmful and malefic planetary transits and inauspicious Graha Doshas and Yogas in the Kundali. 4. Kushmanda- The worship of Kushmanda Devi on the fourth day is said to be useful in fulfilling the desire of gain of progeny or anything that is connected to the progress and well being of progeny. 5. Skandamata- Skandamata is worshiped on the fifth day of Navratri for personality enhancement or to make the personality magnetic and attractive or for resolving issues related to lack of confidence and inferiority complex. 6. Katyayani- The worship of Katyayani Mata on the sixth day of Navratri is extremely popular for fulfilling wishes and aspirations related to marriage or married life, including find a life partner of your choice or resolving problems that are causing problems in your married life. 7. Kaalratri- The worship of Kaalratri Mata on the seventh day is is very effective in removing problems caused by paranormal entities, ghosts, demons and other mystical beings and energies and resolving enemy related problems. 8. Mahagauri- This form of Durga Mata is worshiped on the eighth day of Navratri for commencing a new beginning in life and removal of problems related to hardships and lack of resources, including monetary and material resources. 9. Siddhidatri- Durga Mata is worshiped as Siddhidatri on the ninth and concluding day of Siddhidatri. The worship of Siddhidatri Devi is considered to be especially beneficial for the fulfillment of any special wish, desire or for the successful completion of any task or job. 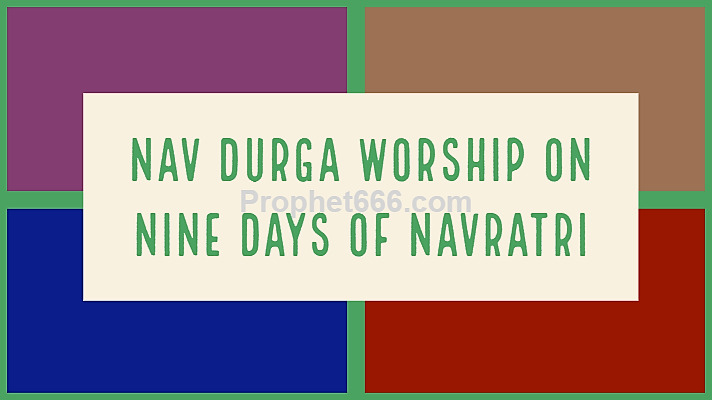 In a post, which was published a few day back, I have described the special Mantras for the Navdurga that should be chanted on each of these mine days of Navratri. 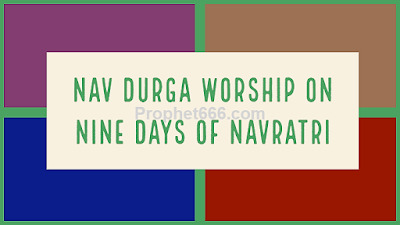 You can also chant the Navarna Mantra – Om Aim Hreem Kleem Chamundaye Vichche- ॐ ऐं ह्रीं क्लीं चामुण्डायै विच्चे, during Navratri, which will also prove to be equally effective in resolving your problems of for fulfilling your wishes. Completely agree. Navarn mantra should not be chanted without seeking proper guidance from a guru. This mantra doesn't suits everyone and if you are one of them then be ready to face lots of difficulties in your life (speaking from personal experience & I was one who faced life threatening trouble just after few days of chanting). Don't be in a disbelief that mother goddess treats everyone as it's child and it can't harm their child. This mantra is capable to do wonders beyond imagination but at the same time it can can invite troubles too if it doesn't suits you. So, it is highly advisable to consult a knowledgeable person before you start chanting this mantra. Author must have inserted caution before advising anyone to chant navarn mantra. Avishek ji how did you come out from the troubles you got?